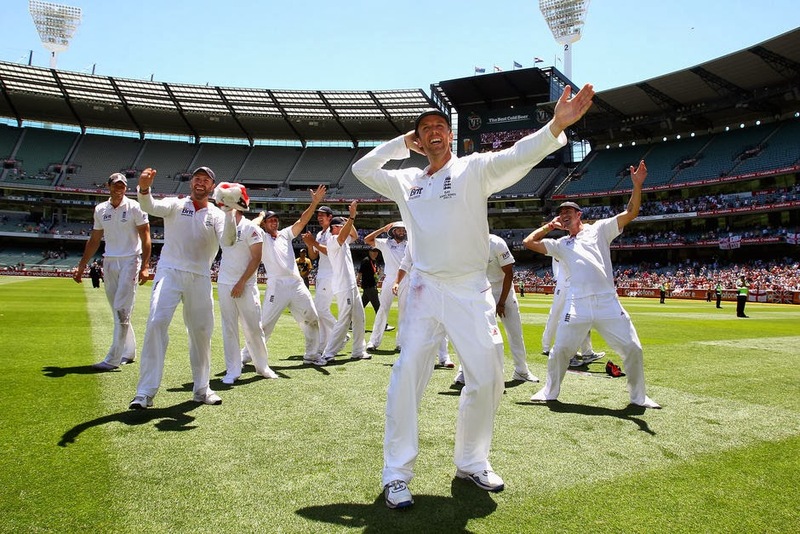 The Ashes 2013/14: Now where did that bloody Urn and spin-blowler go? I tried three times last week, but I just couldn’t manage it. It’s never happened to me before – honestly it hasn’t. I wasn't too sure what to do about it at first, the embarrassment was simply too much at the thought of the ridicule that I would endure. I could see it all - the furtive glances and whispers as I passed anyone I knew - " Hey look, that's Stuart, you know the guy..... he has problems managing to do it". Oh god, the shame. rather smug Mr M. Clarke. Three times I attempted to put together some ramblings (just what did you think I meant? Dirty minded person) on the loss of the Ashes and three times I simply gave up after a paragraph or two of self-indulgent sob stories (well no change there about the content I hear some of you say). However, here I sit a week later with the healing benefit of time and a rather large glass of red wine to help me collect my thoughts together in an effort to at least put something in this blog. To begin with, we all need to be certain of one thing. It's quite simply the small matter of the fact that from the moment we won the series in the summer we have subsequently been out-planned, out thought, outfought, out sledged and outplayed. Yes yes I know! That’s actually five things......I told you that there would be little statistical data...... 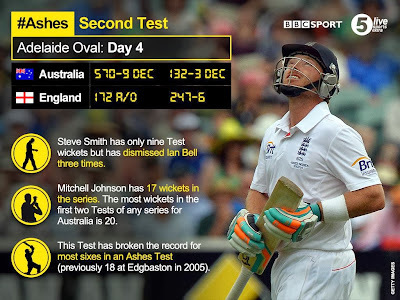 However the fact is that out of the two teams taking part in this Ashes series we haven’t even been second best. Not only that, we've been beaten by a team that player-for-player isn't better than us in virtually any area - and that is what truly hurts. Don't get me wrong, I'm not trying to look for excuses or say that the main reason that the Aussies regained the Ashes was because we were so bad. The fact is that we HAVE been bad & they have been good - very very good. The Aussies without any sense of exaggeration seem to have wanted it more, they are hungry. I've read in some quarters from some crowing Aussie's that we were too arrogant and expected just to turn up an win another series. That couldn't be further from the truth because even before we left for the trip down under there was a sense of real trepidation, a seemingly lack of optimism in some quarters. Even this blogger thought that we would draw the series and not win. The sight at the WACA, of Jimmy Anderson being taken to the cleaners by George Bailey for a world record equalling 28 runs off one over was simply too much to bear. Before that there was the failure again in the first innings of our top order batsmen after what seems like the hundredth middle order revival from Haddin & co. It was all becoming depressingly familiar. Of course the England team couldn't let me succumb to total despair without dangling a carrot of blind optimism while Stokes and Prior were resolutely together in a partnership of 76 on that final Tuesday morning. At this point I dared to hope that the impossible could happen. Could there actually be a turn around in our wretched form? 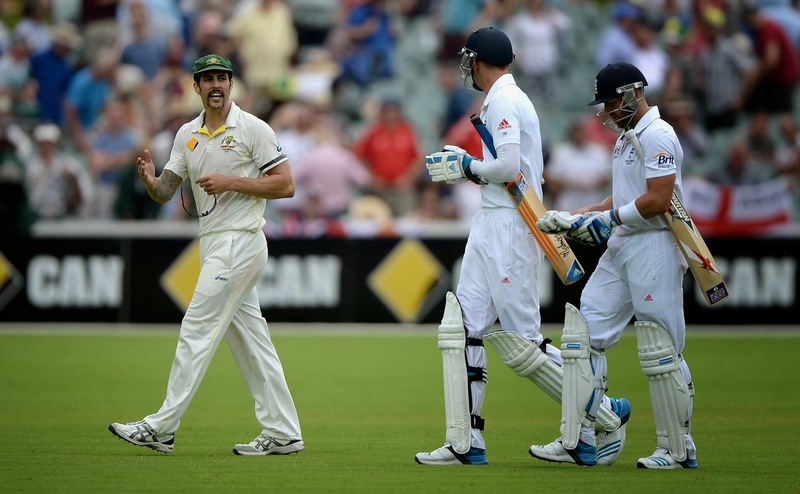 Could we finally exorcise the myth that the Aussies contain four world class bowlers? Could we, even at the 11th hour, save the Ashes in such a glorious way that would be talked about in fevered hushed tones by cricket lovers throughout the succeeding years? For when the luckless (and formless) Prior meekly wafted outside off stump (again) to be caught behind off Johnson (again), then all feint hope of success was smashed to pieces as the inevitable demise then took place. Thanks England, thanks a bunch. Congratulations to Australia & my Aussie friends is due - no matter how it irkes me to say it. 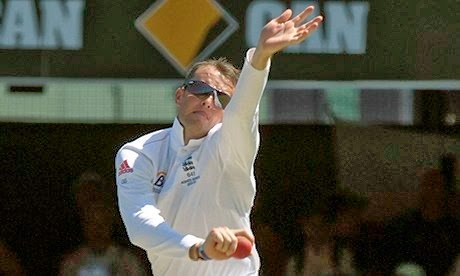 The Chronic elbow condition has probably finally beaten Graeme Swann as he announces his retirement from all first class cricket. The question needs to be asked though as to the wisdom of the coaching set up to try and manage the condition of a situation that could have back-fired - and back-fired it has. He clearly is below his best and suffering, indeed nowhere near the world class player he was. He's been clearly targeted in the Ashes series by the Aussies and like any good side, they've mercilessly attacked a less than full strength player to grind down. So let me get this right. So far that's a player who was psychologically damaged and in need of help and a player physically damaged in need of rest and recuperation taken on possibly the hardest tour of them all? Questions of the decision making of our cricket hierarchy need to be asked. I know that as a person he galvanises opinion from both player and fan alike. Indeed, his constantly 'sparkly' personality initially annoyed some of his teammates (to the extent that he was punched by a certain Mr. D. Gough) when he was first picked for England for the tour of South Africa back in the Duncan Fletcher days of 2000. However, despite showing some reasonable form after his debut in one of those one-day malarkey games against the Saffers in Bloemfontein he never played again under Fletcher - it seems that his personality and attitude just didn't fit. It would be eight years later when he would finally break into, and cement his place in the England team to eventually become an all-time great. 'Deadly' Derek doing the business. Is he our best spinner ever? Again I will leave that argument with all its statistical relevancy's to those more able than myself. 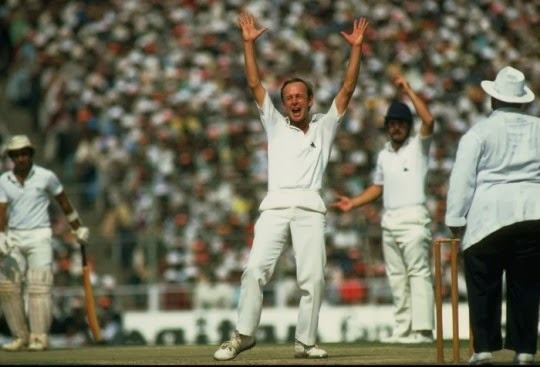 All I would say that certain players such as Jim Laker and Tony Lock would push him closely for that accolade - as would Derek Underwood whose 297 Test wickets is still the yardstick for true English spin-bowling greatness. However Swanny was more than his world class bowling - as the modern player seems to have to be. As a fielder, especially in the slips he was simply majestic exceeding 50-plus Test catches. He had his moments as a batsmen too, his average of 22.09 probably not providing a true picture of the effect he often had in providing a late innings momentum. Whilst he may not have had the aura of a great late-order player he certainly had his moments of glory and his off-drives were as beautiful as any in the game. Yes he is a joker and yes he may wind up teammates and opposition alike, but in these days of insipid pre-prepared public image conscious management his demeanour has always been been a breath of fresh air. He quite simply loved playing for England & felt it was an honour and privilege that should also be enjoyed. Of course he couldn't really depart without a nice dose of Swannyness as the furore over his apparent comments about some players being 'up their own arse'. Thanks to some mischievous newspaper 'journalism' (yes Derek Pringle, I'm talking about you sonny Jim) a very general & off the cuff comment has been depicted as a thinly veiled attack on his teammates. Nonsense, it was more a reflection on certain players in the game as a whole. The whole over-reaction from the likes of Michael Vaughan and certain 'celebrity' cricket fans is nauseating to say the least. So I will just say for now, thank you for the memories Graeme, a brilliant spin bowler and multiple match winner. You'll be missed, but we'll always have these stats to drool over. * Played 60 Tests (proper cricket), 79 ODIs (not proper cricket) and 39 of that T20 slog in the park nonsense. * Took 255 Test wickets at 29.96, 104 ODI wickets at 27.76 and 51 slog in the park wickets at 16.84. * Exponent of the 'Sprinkler' dance. is actually meant for. Monty is bemused. 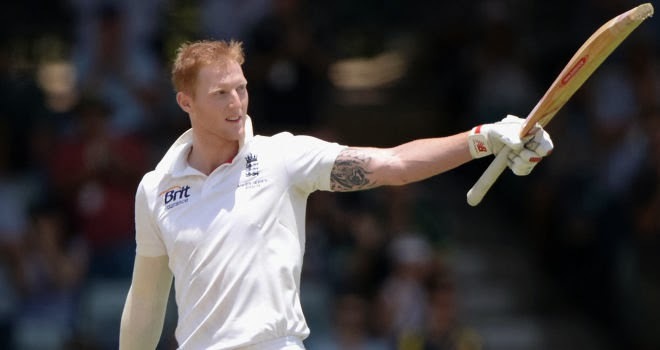 Ben Stokes provided an indication of the future that he may have at international level as he was perhaps the only bright light to emerge from the disaster in Perth as he made a sublime and courageous 120. Whether he stays at number six or eventually moves up the order at least he has given the hierarchy some optimism that we may have a potential all-rounder in the making. I say 'potential' because his bowling certainly needs work having taken a pounding (like all the others it has to be said) earlier in the match. It remains far too early to give him some of the plaudits that some who should know better have been bestowing upon him. References to the 'new Ian Botham' were old and depressing even when his Beefyness was still playing. In addition to that there is Stuart Broad. Before his foot injury at the hands of demon fast bowler and Freddie Mercury tribute act Mitchell Johnson, old Stuey was nicely playing the dual roles of pantomime villain and sole decent English bowler. There are doubts as to whether he'll be fit enough to serenade the 'cheat' songs from the choir at Melbourne in the Boxing Day Test so we may have already lost the only bowler to get it anywhere near right against the Aussie batting machine - yes Brad Haddin, I'm talking about you. The Australian victories - by 381 runs in the first Test, 218 runs at Adelaide in the 2nd and now the 150 run defeat at the WACA shows a worrying trend for the hosts. 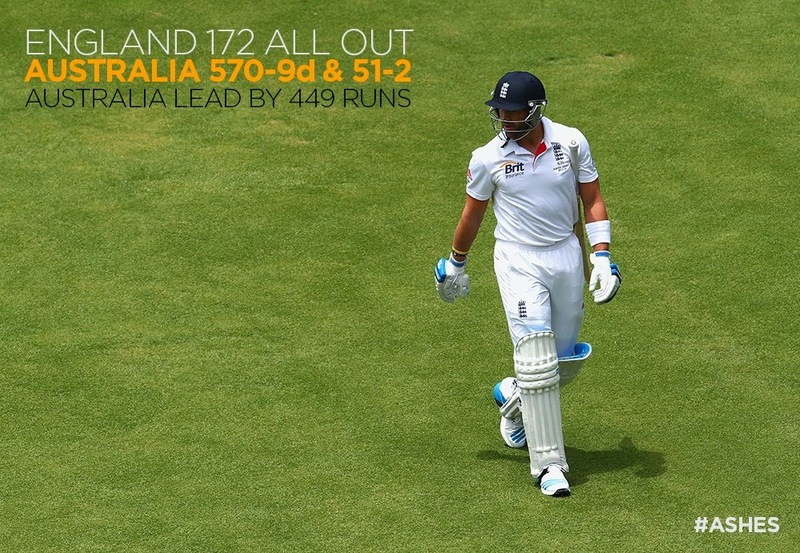 This reduction in winning margins must be causing some sleepless nights for the Aussie set-up. By my calculations using a rather complex statistical algorithm that means we'll win at least one Test sometime in the future. Clutching at straws - moi? 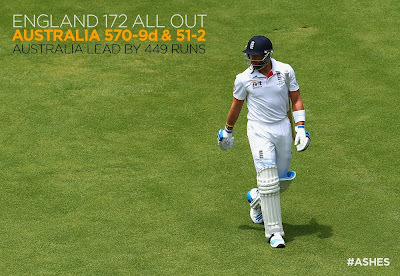 The Ashes 2013/2014 -part 3: Infamy Infamy. They've all got it in for me! One theory was that sometime in August I was abducted by Aliens and therefore IT isn't actually happening, IT is simply the result of the nightmarish alien induced hallucinations that I'm forced to endure whilst at this very moment being strapped to a device on some spaceship somewhere in the outer extremities of the galaxy (please, no mention of Alien probing, lets keep this piece clean for once people). Their experiments of just how much horror one man (albeit one of brave and noble character as myself) can endure psychologically obscene material before running headlong into the nearest oncoming traffic are horrifying, truly horrifying. Another theory is that a month or so ago while I was skipping gaily and nonchalantly on my way home I inadvertently wandered through a rip in the Time/Space continuum and was taken back in time to a dark and depressing time in the history of humanity that often saw IT not only happening again and again, and with an ever more surreal and soul-destroying appearance. Yes my friends, I'm talking about watching English Test cricket in the 1990's.........enough to send a shiver downs one spine. There is however another theory, and one that strikes this blogger with pain and terror. The theory is as follows: IT is really happening, we are at the moment getting our cricketing arses well and truly thumped by a better team. Not only that, we are not the same team we once were, some players are best their better days and there seems to be a genuine lack planning on how to counter the opposition. I know for some that will be a bitter pill to swallow - but it is painfully true for all to see, so far in the Ashes series we are being beaten well. And that my friends is the truth of IT. I will leave it to far more qualified and knowledgeable people to analyse in detail where exactly the fault lies with Captain Cook and his band of bashed-around men. However, the self-opinionated so and so within me won't be able to let things go without offering some form of jaundiced opinion of course....because believe me there is some fault, whether it be in the back-room and and/or on-field approach. I have lost count in the past week or so the theories for the gradual demise in batting form over the past year or so for example, and the subsequent numerous suggestions as to what should be our most effective batting order. The debate for example of who should bat at number 3 after Jonathan Trott's personal problems depart the tour for home has more resembled an old Abbot and Costello routine in some areas of the Twittersphere. (For those uneducated in classic comedy I suggest you type 'who's on first base?' into your youtubey search thingamajig. So I suppose one more opinion won't harm, will it? Which brings me onto a certain Mitchell Johnson. I mentioned before this series that the continual treatment as the cartoon clown and pantomime villain of the Aussie team was frought with danger. Yes he may have had a penchant for bowling very much to the left and just as possibly to the right, but many people seem to have forgot along the way just how lethal he could be when he gets it right.....and I think that it's safe to say that so far in the series he has sort of got it pretty much right. I have to admit - when it comes to the art of bowling I'm more of a lover of the fast bowler than spin bowler. It could be the result in growing up in the era of Lillie and Thompson and 5,000 West Indian bowlers which led to this love, I'm not sure. What is for certain that for all his genius, I would always enjoy watch Shane Warne bowling, but would much prefer to see the likes of Shoaib Akhtar steaming in to bowl. So, as a lover of the art of the fast bowler old Mitch's performance in scaring the living crap out of our batsmen has been nothing short of monstrous. The third day of the 2nd Test was a case in point when we witnessed one of the great Ashes performances of all time - and believe me, as an England supporter this is not easy to say. However, said it has to be, as the three overs after lunch saw Johnson take five of our wickets. Not only that, overall in 26 balls he grabbed six wickets for a mere 16 runs. In amongst the carnage this all included a triple-wicket maiden - not bad for a cartoon villain. At the time of writing this, he has a grand total of 17 wickets at an unbelievable average of 8.93. I think it is safe to say that he is enjoying repaying some of the (often justified) stick that he has been on the receiving end from English players and fans alike for the past few years. On the other hand, some of our play and decision making has been a little baffling to say the least. I could be wrong (and I often am, as my family and friends would testify to) that in an effort to counter the fast paced chaos of Mitchell et al it had been decided by our coaching staff that we were going to do the same. In essence, fight aggression with aggression. At least that is the only explanation that I could come up with to suggest the need for some hari-kari batting from Captain Cook and the boys. Cook's dismissal as he was caught hooking (yes you read that correctly) to long leg was so alien to his normal style of play meant that I had to rewind the coverage to make sure I had seen it right. Oh god, have we had another team meeting with Graham Gooch? It seems that way because I would have normally put that shot down to the pressures of a captain under the severest of Ashes pressure, except for the fact that this seems to be something of a developing trend after Michael Carberry decided to try the very same thing. I can see that meeting between Gooch and the team right now....."Right then boys, I scored a million runs against Malcolm Marshal and the rest of those so-called quickies back in the day when it was me and a pants team against the rest of the world, so this is how we're going to do it. That Mitchell Johnson deserves a good tonking for that nasty sledging that he's doing, so while I know that we have to bat it out for two days to save the Test, but that doesn't matter. 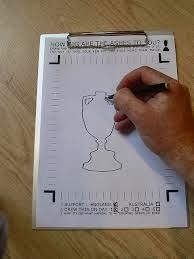 Lets give it them boys!! !....er, boys?" The simple facts are that the Aussies are outplaying us. In three successive innings our once renowned middle order so far in the series has now been blown well and truly away. We lost six wickets for nine runs in the first innings in Brisbane, four for nine in the second and now four for six currently in Adelaide. So far not so good. I don't particularly care about the incidents of sledging, that should be no excuse. Yes once again bad feeling seems to be permitting through the exchanges between players, but as long as threats to break opponents arms are kept to a minimum I have no problem with some of the theatre that it brings. I write this on the eve of the fifth and final day where we need to bat out the day with just four wickets in hand. Yet even amongst the gloom and despondency I have a splattering of optimism. Will we save this game? Probably not, but there are faint glimmers of hope. Joe Root at least seemed content to bide his time on the 4th day and accumulate runs slowly and Bell still remains imperial at times. 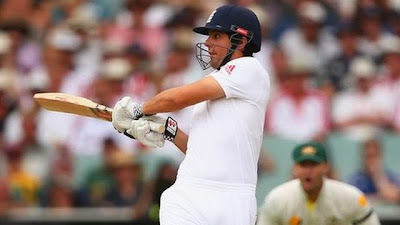 - but Bell MUST bat at three (see, I just couldn't stay away from that debate!). Many will disagree with me but Swann now seems to be a shadow of the bowler he once was - sentimentality should play no part, he needs to be replaced - probably by Monty as a like for like. And for crying out loud, will somebody give Graham Onions a ring and tell him we're very very sorry, have made a terrible mistake and that there's a first class ticket to Perth waiting for him at Heathrow??! !